The problem is that there are so many extra opportunities for spending during the holidays. In addition to purchasing gifts for friends and family, there are holiday parties to throw, holiday dinners to make, cookies to bake, greeting cards to send, donations and tips, party clothes, travel expenses, decorations and gift wrapping. Every one of these things costs money, which you would not normally spend any other time of the year. Going into the season, decide how much you can responsibly afford to spend and then split that money up into a holiday budget. This worksheet from The Balance provides a row for every possible spending category (including ones you might have forgotten, like postage and photo printing) and a column to record your budgeted amount, how much you actually spend and how much you are over or under budget. Although you might think you can remember everything you plan to purchase, you will forget because most of us simply have too many things happening this time of year. Keeping a to-do list and crossing off items will save you stress and keep you from making unplanned purchases. When you plan your shopping trips, even down to the last item, you will prevent overspending and impulse buying. Take the time to research prices online to find the best deals before you buy. Also, never shop without a written list. If you enter a store (online or on foot), you will be more likely to purchase unnecessary items without a list. Anyone who has ever shopped for the holidays has experienced a day when they buy more gifts for themselves than for other people. Avoid overspending on yourself at a time when you already plan to spend extra money on others by keeping a list of the things you want. 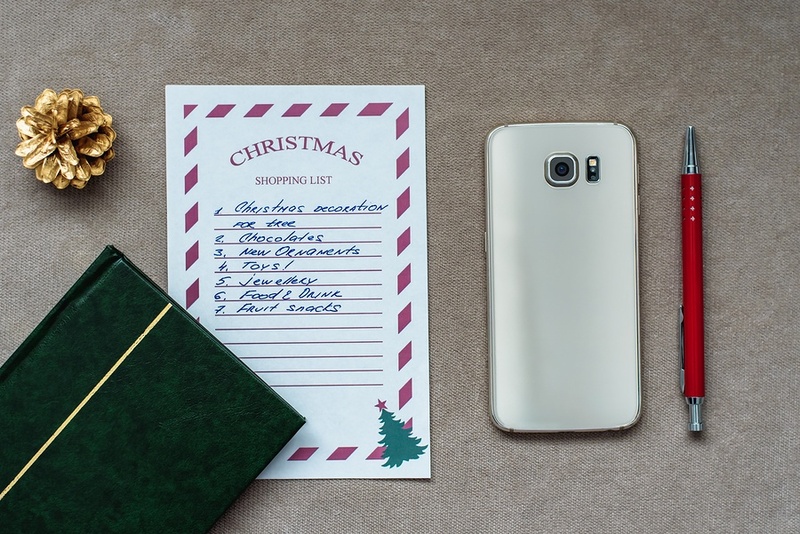 Whether you write this list by hand or use Amazon's wishlist feature, keeping a list of the items you want will get them off of your mind and make it easier to wait to buy until the after-season sales kick in. Do not make a holiday budget and then fail to track your spending. You can do it the old-fashioned way by saving receipts and using a hand-written spreadsheet, or you can automate it with an app. Developers have created countless different ways to automate budgeting and expense tracking, making sticking to a budget almost effortless. After January 1st, you will likely need time to recover from the packed schedules and over-indulgence of the holidays. But if you make a holiday spending plan and stick with it, you can prevent your account and your financial goals from experiencing a holiday hangover. Make your budget now and track your spending over the next couple of months to prevent your January financial statements from marring the memory of your happy and merry holidays.